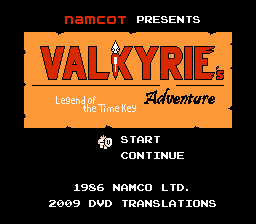 To translate Japanese console games and manuals into English releasing only what we consider to be 100% complete translations. 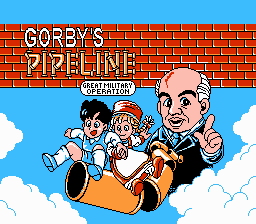 Games that we have finished translating and utilities that have been released to the public. (#) is the order of project start dates. BodyConQuest I - Girls Exposed. 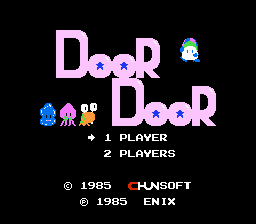 Finding the pointer tables for this was extremely difficult, but DvD finally found the pointer to the first NPC! 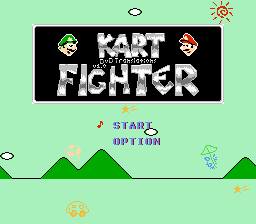 A pretty fun cart racer for the SNES that uses the same DSP chip as Super Mario Kart (1 or 1B). 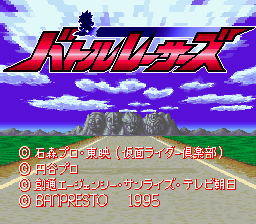 It might be the only SNES cart racer not released in the US. DvD wants to make a hack of the NA release of Shining Force CD so that you can play the third scenario without the need of a SegaCD memory backup cart. 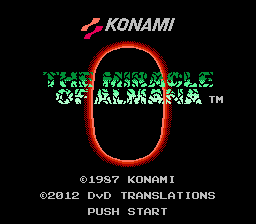 Be sure to check out ROMhacking.net, where you can get the latest news on everything in the world of ROM translations. 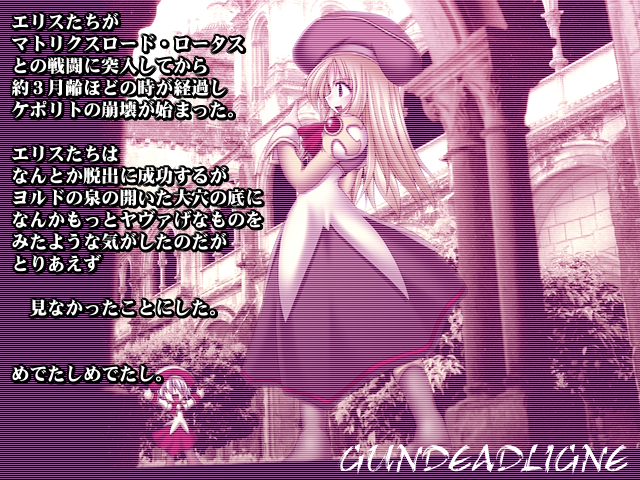 harmony7, translator for Romancia, Rev. B of Portopia, BodyConQuest I, and Pocket Zaurus. He's a good friend of DvD. He was one of the two final translator/editors for the ground breaking RPGe patch of Final Fantasy V.
aishsha of the Wolf's Den is a professional translator who speaks multiple languages including Japanense and English. He translated our The Glory of Heracles project and did a large amount of translating for Pocket Zaurus and The Cursed Treasure of Cleopatra. He also is a hacker who translates his own games and I've given him a hand with a number of those. NintendoComplete aka dokusaisha of NintendoComplete.com. 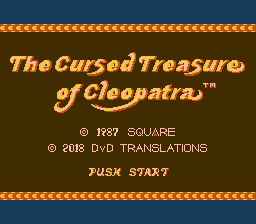 He did the original tralsation of all of The Cursed Treasure of Cleopatra. Unfortunately, I lost contact with him and finished the project with aishsha. Shiroi of Shiroi Translations was the first person to help when we were in search of a translator. 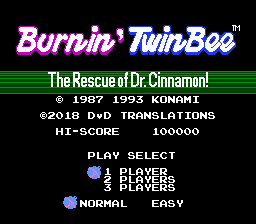 She has now retired from video game translations. 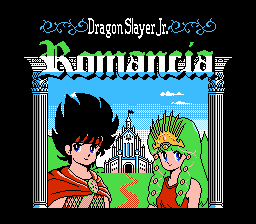 Her main contributions were as the translator of our Dragon's of Flame, and Portopia Rev. A projects. We wish her all the best. DvD is our resident hacker. He wasn't very creative when coming up with a name for our group. He kinda wished he called it Polished Turd Translations. Radical R, the lead beta tester on the Portopia and Romancia projects and a good friend of DvD. He worked with Demi to release the most recent version of the excellent Radical Dreamers patch. He is in charge of Non Directional Translations. 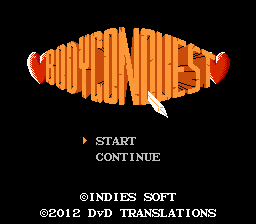 They work on translating PC-98 and PC doujin shooting games, among other things. 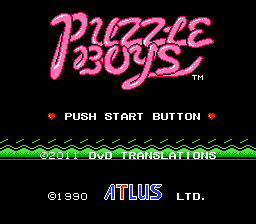 Pennywise of Stardust Crusaders Translations is a fellow NES translation hacker who always strives to release high-quality translations. He is currently the most prolific translator out there. 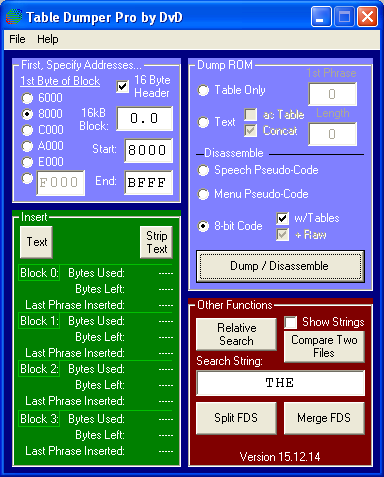 An NES translator who ventured into FDS, Gameboy, X68000, and SNES. He helped DvD to move the site and save DvD Translations! 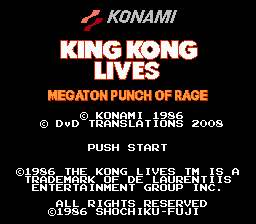 DvD did title screen graphics and hacks for many of his games. 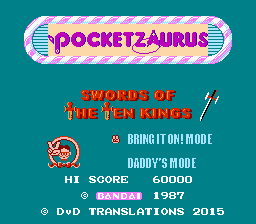 He worked with DvD on what become a joint Pocket Zaurus project. King Mike of KingMike's Translations is the one of the most prolific FDS translators. 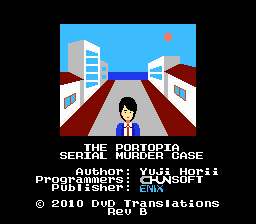 DvD contributed a Windows ROM expander for his Popeye no Eigo Asobi and Kaijyu Monogatari Famicom translations. The expander program was also included with our Portopia translation. It has now been replaced by our generic ROM expander ROM Expander Pro. 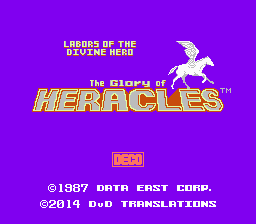 DQ Translations DaMarsMan gave us access to all of their Glory of Heracles III translation files! The Spoony Bard toma and friends translated the Glory of Heracles II. KlD and I@n are our resident beta testers and script editors. Red Soul of Dynamic Designs beta tested for the Glory of Heracles project and did the graphics editing of the manual. An actual group in this age of solo artists! 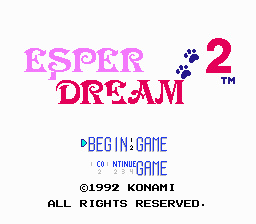 The whole group does great work and has recently released some of the biggest translations some of those foggetten SNES enix gems. I'm particularly fond of Taloon's Great Adventure and Just Breed.